BROE auctioneers are proud to present this spectacular 4 bedroom semi-detached family home. This luxury family home extends to c.171sq.m. / 1850sq.ft. 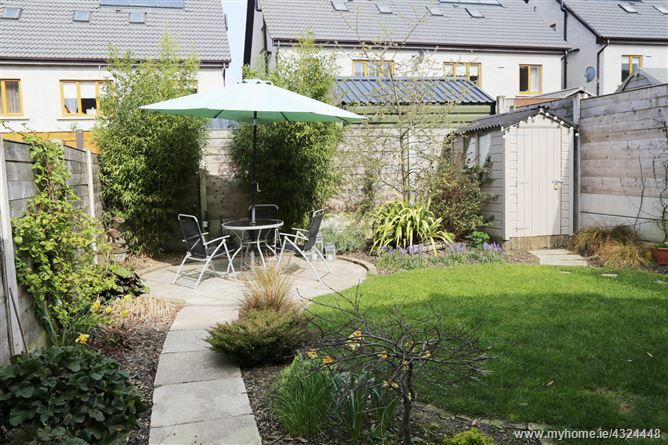 with a landscaped rear garden and cobble-locked driveway for 2 cars. Finished to exacting standards this property is presented in show room condition throughout and offers bright and very spacious living accommodation spread over three storeys. Ideally located in a quiet cul-de-sac facing an open green. 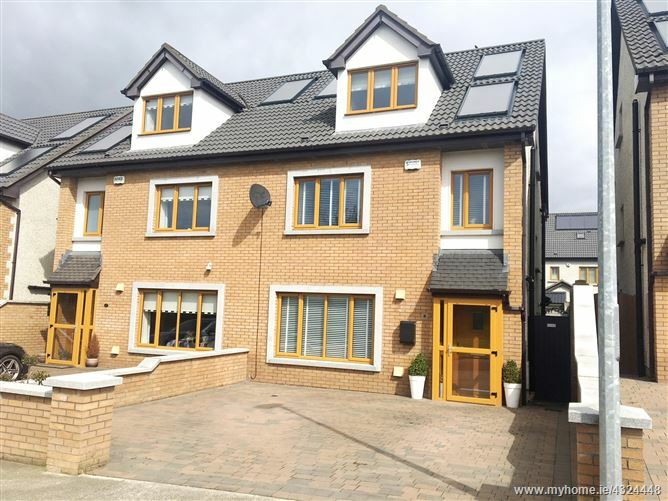 This property has all amenities close by and is just a short walk into Rathcoole village. This superb family home briefly comprises of an entrance hallway, guest W.C and cloakroom, lounge, magnificent open-plan kitchen/dining room to include all Neff appliances, French doors to rear garden, utility room, master bedroom with en-suite and walk in wardrobe, three bedrooms with en-suite to back and main family bathroom. With a A3 energy rating there are many additional benefits included, solar panels, hi-spec double glazing throughout, alarm and all Neff kitchen appliances included and fitted wardrobes in all rooms. alarm panel, ceiling coving, storage. include all integrated Neff appliances, ceramic tile flooring, French doors to landscaped rear garden. (1) Bedroom	3.90m x 3.46m	Built in wardrobes, new quality carpet. (2) Bedroom	3.45m x 3.79m	With fitted wardrobes, new quality carpet. (3) Bedroom	2.74m x 2.51m	With fitted wardrobes, new quality carpet. ceramic tile flooring, mounted wall light. wardrobe (3m x 2.5m) with fitted units and shelves, Velux window. range of built in vanity units.